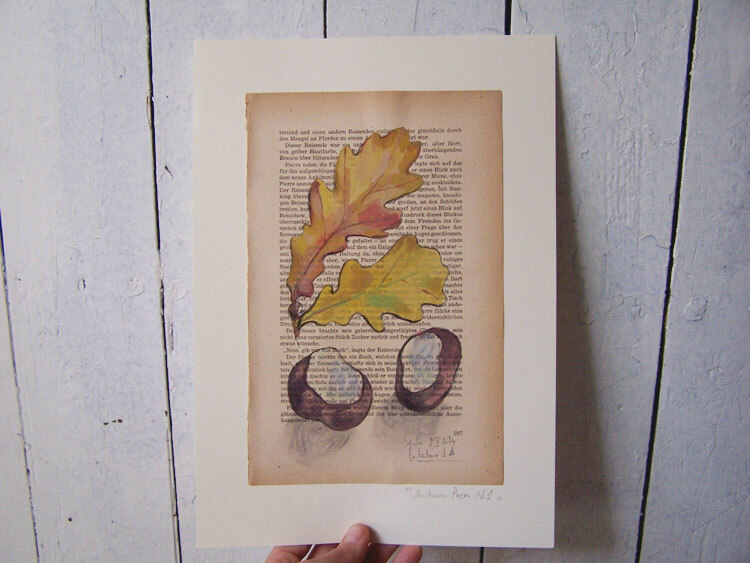 This painting is the first of the project "Autumn Poems". 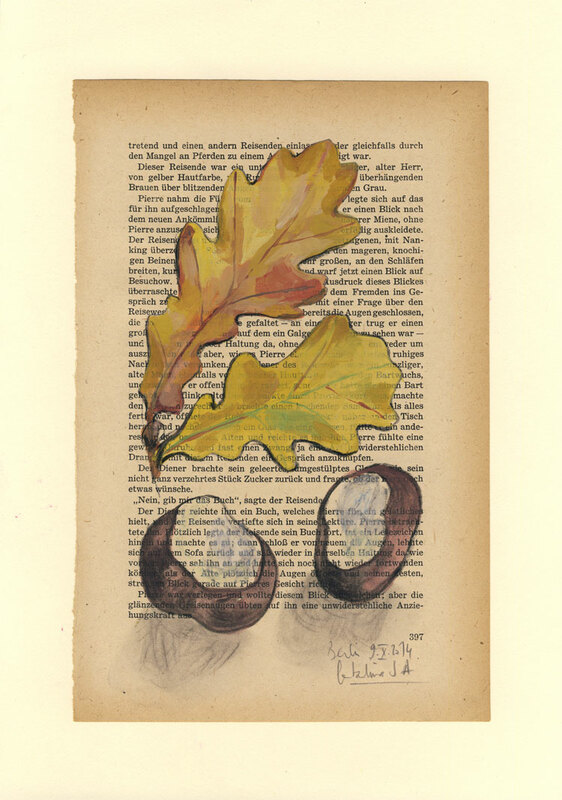 They are Autumn still life drawings of leaves and nuts, with ochre, siena colors on an old vintage book. ("War and Peace" by Leo Tolstoi on a german version). Gouache & charcoal on old book.